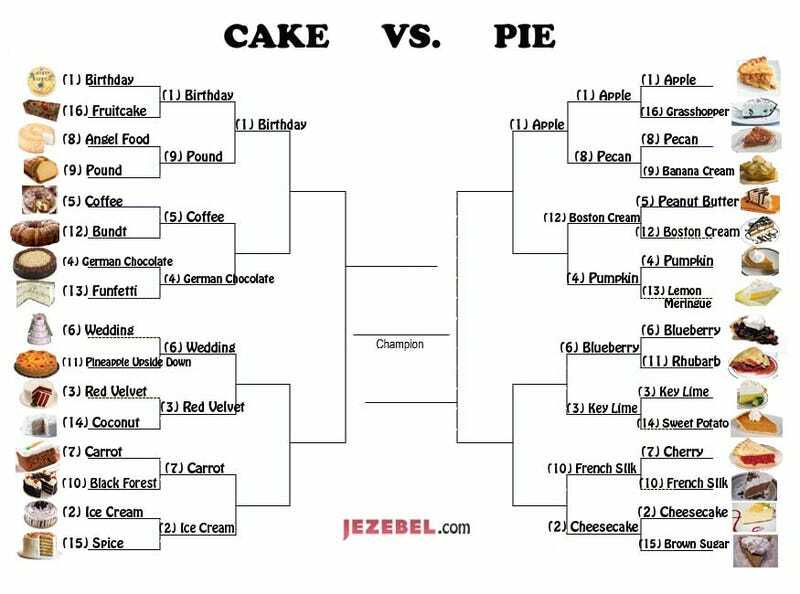 The latest matches ended on a brutal note: #1 seeds Apple Pie and Birthday Cake trounced the competition in their respective categories, guaranteeing them a slot in the Elite Eight. But there's more proud, tasty warriors vying for that honor. Today's competition will likely be intense — at least in the Cake Conference, where #4 German Chocolate Cake and #5 Coffee Cake tempt fate. Vegas has the odds even on this one; both cakes are standing on death's door — but only one will get a date with the Grim Reaper. Meanwhile, at the PieDome, #4 Pumpkin takes on #12 Boston Cream. Voting below; be sure to cast ballots in both competitions. Polls will remain open until 3/30, 1:55pm EDT.